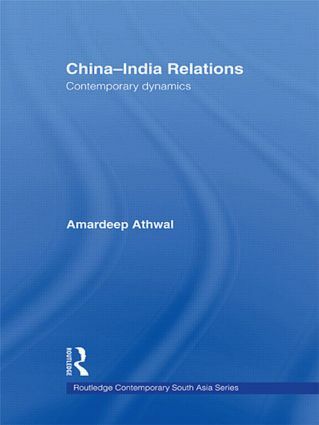 This book examines the dynamics of the modern relationship between China and India. As key emerging powers in the international system, India and especially China have received much attention. However, most analysts who have studied Sino-Indian relations have done so through a neorealist lens which emphasizes the conflictual and competitive elements within the overall relationship. This has had the effect of obscuring how the China-India relationship is currently in the process of transformation. Drawing on a detailed and systematic analysis of the interlinked and increasingly important issues of maritime security in the Indian Ocean region, energy demands and concerns, and economic growth and interchange, Amardeep Athwal shows that not only is there an absence of mutual threat perception, but Sino-Indian bilateral trade is increasingly being framed institutionally and China and India are also beginning to coordinate policy in important areas such as energy policy. He concludes that neorealist accounts of Sino-Indian relations have difficulty in explaining these recent developments. However, rather than rejecting neorealist explanations in their entirety, he points towards a theoretical pluralism with an appeal to ‘soft’ realism and theories of neoliberalism and peaceful change. China-India Relations will be of interest to scholars of international relations and politics, international business and Asian studies.